Storytelling is an important aspect in any form of writing because it takes hold of the reader and transports them into another world. Jeff Talarigo takes storytelling one-step further with the use of animal speakers and the importance of endurance in his work, In the Cemetery of the Orange Trees. 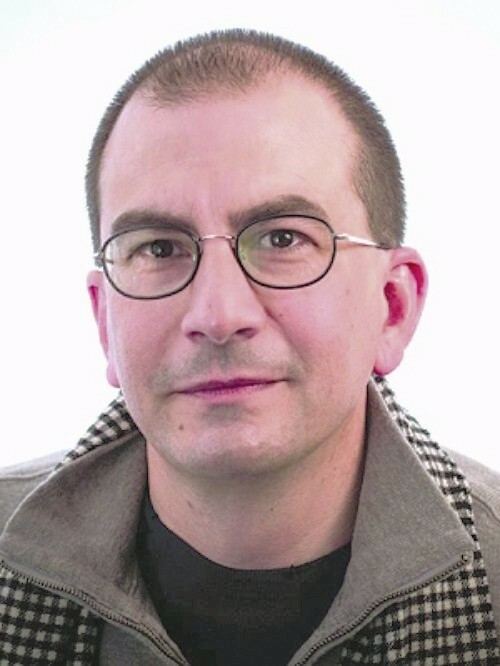 Talarigo is the author of In the Cemetery of the Orange Trees (Etruscan Press, 2018), The Ginseng Hunter, (Anchor, 2008), and The Pearl Diver (Anchor, 2004). Jeff Talarigo’s experiences gave him a new understanding of the world around him. “I was working as an intern for the MacNeil Lehrer News hour back in 1988 and I started to read about the Palestinian uprising, the intifada, and I didn’t feel that the whole story was there. I spent a couple of years reading as much as I could on the Israeli occupation, and then, after working as a journalist for about a year and a half, I bought a backpack, an airplane ticket, and with $900 in my pocket I went, for three months by land to the West Bank, Gaza, Egypt and Sudan and back. That first trip I went with the mindset of a journalist, but then, three years later I returned for an extended stay in Gaza and lived with a Palestinian family in Jabaliya Refugee Camp, the setting for In the Cemetery of the Orange Trees. It was on this second trip that I saw two boys playing with a bird on a string and this is what started me on the road to becoming a novelist and write this book as fiction. I felt, and still do, that a novel has more truth in it than a piece of non-fiction,” Talarigo says. “I didn’t consciously decide to have animals talking in the book, but one day, after six years working on the novel, I sat down and began writing a story ('The Night Guardian of the Goat'), and I wrote nearly 4,000 words and in the story I had a goat that could talk. Much of In the Cemetery of the Orange Trees was written in a fabulous bookstore, the Coop at Harvard Square, and as I walked home that day I was wondering where the hell that story and the talking goat came from. I had a friend read the story, and she liked it, and eventually it was published in the Boston-based literary journal, AGNI. For the most part, it was this talking goat that propelled me to write about the Gaza Zoo and the tunnels using, at times, animals as narrators,” says Talarigo. “As part of my research for all of my books, I read a lot of fiction, poetry and folklore from the country that I am going to be writing about and this helps to get me into the mindset of the people, their traditions, culture and way of life,” Talarigo says. Creating stories and folklore have an enormous impact on both the author and the reader because it evokes the feeling of magic and mystery. “For me, the magic moments in writing, like the talking goat story, which sort of wrote itself, come not from a preconceived symbol, such as I want this goat to represent such and such, but from those sudden bursts of writing. I feel that if I had had the idea that I wanted the goat to represent a certain thing, then, for me, it would have felt forced, unnatural. My best writing, and I believe this is true for a lot of writers, are those magic moments when a story takes over the writer, those are truly spiritual moments. Thus, you get a book where goats and sheep and gazelles and birds can talk. An example of this is, when I was in Gaza, numerous times I saw goats standing on their hind legs, their front legs braced against a wall as they reached for some leaves to eat. That image was in my mind for years before I wrote the story 'The Night Guardian of the Goat',” Talarigo says. One of the unique features in Jeff Talarigo’s work is the different stories and storytellers throughout it. “In the Cemetery of the Orange Trees, I believe, is more of a novel, although not traditional, than a short story collection. The Gaza Zoo, Shafiq the veterinarian, the American, and the theme of homelessness are the threads that I have used to loosely hold and pull it all together. I ended up putting them in somewhat of a chronological order, certainly the first story set in 1948 and the final story set in about 2011 are the anchors,” says Talarigo. “I love telling stories in nontraditional ways, nonlinear, written in short scenes. Back in my early days of writing fiction, I read Michael Ondaatje’s In the Skin of the Lion and the writing, both the prose and the structure just blew me away. That book freed me from the shackles of having to tell a plot driven story, a linear story; it gave me a huge amount of confidence to write books that are language driven, using short scenes and images to engage the reader. I was not a prolific reader growing up; in fact, I did not read any literature until the age of 25. After going through some deep personal problems, a one room library in Ohio became my reprieve and I immersed myself in literature. Many of the writers that I admire write books similar to this: Ondaatje, Colum McCann, J.M. Coetzee, Mercè Rodoreda, John Edgar Wideman, to name a few. These writers have been my mentors, for I have never taken a creative writing class in my life and much of my learning about the craft has come through reading and writing everyday,” Talarigo says. A heavily emphasized theme throughout In the Cemetery of the Orange Trees is endurance. Talarigo says, “Next year will be the 70th year of the Palestinian diaspora and a majority of them have been living in refugee camps in Gaza, the West Bank, Jordan and Lebanon the entire time. I do not think there is, or has been, a story such as this in the world. For me, the Palestinian story is a story of endurance and steadfastness. I think all lives are a test of endurance. Some of us, however, have a much heavier burden to carry. The stories that I am most interested in are these people and their strength to go on under such an enormous burden. We love to label people, and I hope that we come to the realization that living one’s life hauling around a label is a heavy burden to carry,” says Talarigo. “I love to witness history. With all my books, not only this one, I am inspired by the people whose stories I am telling. I am truly blessed for I have met some of the great people in the world, the true heroes in our lives – the leprosy patients in Japan, the North Korean refugees, and the Palestinians in Gaza – and they have opened up their lives to me and I have had the honor of writing about them. My books take a long time to research and write – In the Cemetery of the Orange Trees took over eight years - and if I am not passionate about what I am writing I could never have the endurance to carry through till the end,” says Talarigo. “The Palestinians in Gaza changed me as a person; they have made me a much more compassionate and open-minded observer and empathetic person. I find it sadly ironic that these people, strangled with the label of terrorists, have taught me so much about being a better person, about humanity, about the important things in life. I am deeply indebted to the people of Gaza, both as a person and as a writer,” Talarigo says. One of the most important parts of writing is remembering the origin of the story. Any aspiring writer interested in writing a story similar to In the Cemetery of the Orange Trees should follow this advice. “Steep yourself in the people’s culture and their literature, have an enormous amount of passion for whatever you are writing about, and see with your own eyes,” says Talarigo. Ashlee Harry is pursuing her B.A. in English: Professional Writing from Penn State Berks and served as an intern with Etruscan Press. She currently resides in Edwardsville, Pennsylvania. 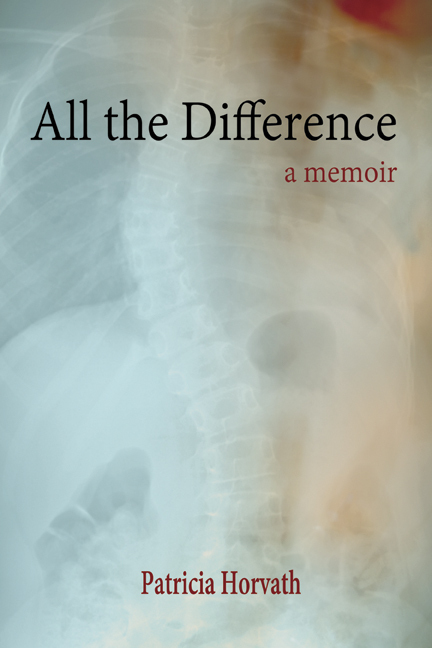 We are proud to welcome Patricia Horvath and her memoir All The Difference to our Etruscan Press family. 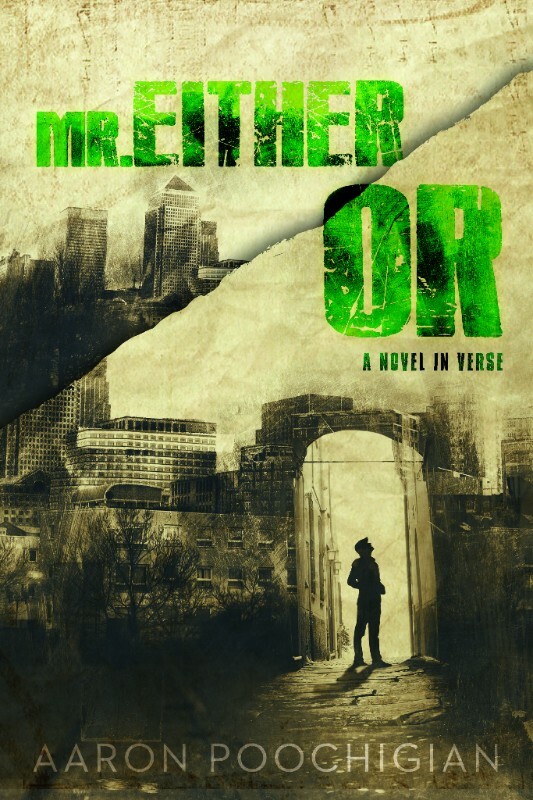 Etruscan Press would like to welcome Aaron Poochigian’s verse novel Mr. Either/Or. 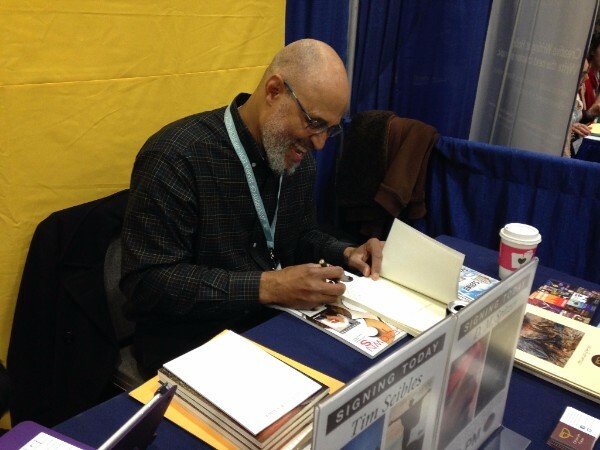 Tim Seibles(Fast Animal and One Turn Around the Sun) signed books at AWP17. Etruscan Press is once again exhibiting at the Association of Writers and Writing Programs Conference (AWP), which will be held in Tampa, FL from March 7-10, 2018. Partnering with the Maslow Family Graduate Program in Creative Writing at Wilkes University, Etruscan will host author signings during the Bookfair in booth (1202). Copyright © 2017 Etruscan Press, All rights reserved.